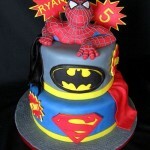 This amazing comic book superhero themed birthday cake is probably the coolest superhero cake I have ever seen! 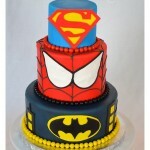 Probably the best part is the number of superheroes represented on the cake. 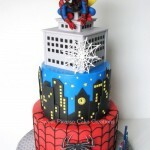 From the bottom to the top, there is Captain America, Batman, Superman, Spider-man and Iron Man. 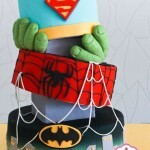 Perhaps the coolest part of this awesome superhero cake is that both the Superman and Batman tiers have capes coming from them. 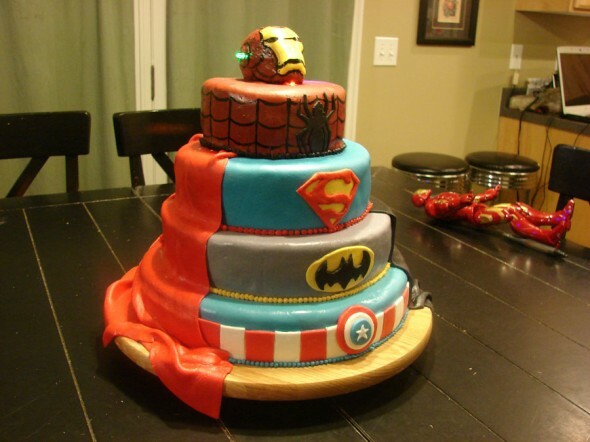 Whoever made this cake did an amazing job! 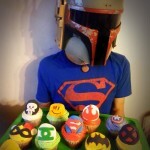 If you have any geeky cakes you would like to see on Global Geek News, let us know in the comments! 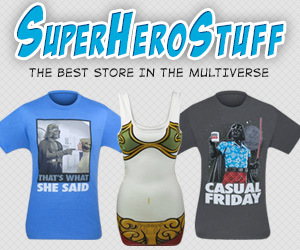 Pass this along to any comic book superhero fans you know! Like us on Facebook too!